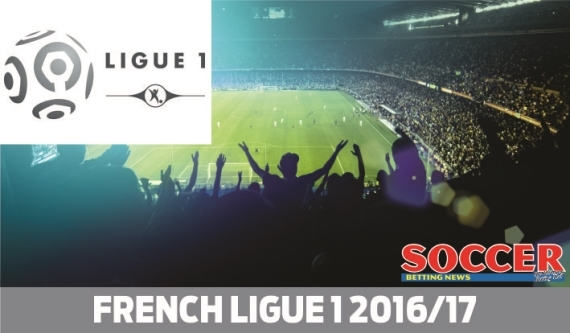 The French Ligue 1 resumes this weekend with loads of enticing odds on offer. Upsets, a plethora of goals, and Mario Balotelli hitting the headlines again. That’s was what went down in Ligue 1 this past weekend. One of world football's biggest 'bad boys' came good on his debut for Nice, grabbing two goals to help his side to a 3-2 victory over Marseille. Elsewhere, Metz continued their fantastic start to the season seeing off Nantes while PSG were held to a 1-1 draw in the gameweek’s opener. PSG will once again get proceedings underway as they travel to Caen this coming Friday, while the weekend’s action closes out with the Choc des Olympiques derby between Lyon and Marseille. My feelings towards PSG are starting to become far less warm. The defending champions let me down for a second gameweek in a row as they failed to see off an out of sorts St. Etienne side. The 1-1 draw has seen PSG drop to seventh place on the log. Caen also come into this one off the back of a defeat, as they went down 2-0 to Stade Rennes at Roahzan Park. This was Caen's second defeat of the season and their second 2-0 loss. PSG have a tricky Champions League tie against Arsenal this week, so Unai Emery may see some of his star players drop off in the second stanza against Caen due to fatigue. With that in mind, I reckon a double chance bet is the way to go here. Back the Caen + Draw Double Chance market at 15/10. Monaco have really started to hit their straps. The men from the French principality ran Lille rampant this past Saturday, scoring four goals while only conceding once. They have now managed three wins on the trot and top the Ligue 1 standings due to a superior goal difference. Rennes also managed to grab the full three points this past weekend, seeing off a spirited Caen 2-0. While the first-half of their fixture provided about as much entertainment as watching paint dry, the second stanza was full of incident. Rennes had already opened the scoring with little over 90 seconds of the second half having passed. Wesley Said was the man who grabbed the opener. The striker latched on to a Romain Danze pass and nudged the ball past a flailing Remy Vercoutre in the Caen goal. Rennes really started to pile on the pressure after the opener and could well have been three goals up had it not been for some terrific goalkeeping. They did eventually double their lead with Paul-Georges Ntep finishing off a sweeping counter attack deep into stoppage time. Monaco have been in fantastic touch this term and while they will have to contend the rigours of midweek European football – they face Tottenham this Wednesday – they should be able to recover sufficiently enough to see off Rennes. Get on the Monaco straight win at 15/20. Two teams who enjoyed contrasting fortunes during gameweek 4 square off in Saturday’s second fixture. Nantes were hammered 3-0 by an in-form Metz outfit at the Stade de la Beaujoire last week. The loss has left them reeling in 18th position on the Ligue 1 log. Nancy finally managed to get their first points of the season with a surprise 2-0 away win over Lorient. While the victory hasn’t moved them out of the relegation positions, it will have at least given Pablo Correa’s men a bit of momentum heading into their clash with fellow strugglers Nantes. Both sides have struggled to find the back of the net this term, making the Under 2.5 Goals market exceedingly attractive. Get on it at 9/20. Rooted to the foot of the table with no points to their names, Lorient will need to get their act together ASAP if they are to avoid getting dragged into a relegation dogfight. They’ll get the chance to do just that when they take on 15th place Lille this Saturday. The hosts for this encounter went down 2-0 to Nancy last week. The two goals that they shipped have increased their goal difference to a staggering -8. Lille didn’t fare much better last weekend getting hammered 4-1 by Monaco in front of their home faithful. This was their third loss of the campaign with their only positive result coming the week before the international break when they drew 1-1 with Nice. Both sides have been extremely leaky at the back with Lorient already having shipped 10 goals this term and Lille letting in eight. The Over 2.5 Goals market cannot be ignored with both sides so porous at the back. Get on it at 5/4! High-flying Metz travel to new boys Dijon this week. The two newly-promoted sides have enjoyed polar opposite starts to life in the big time, with Metz winning three of their opening four games and Dijon only winning once. The visitors come into this one off the back of a brilliant 3-0 away victory over much-fancied Nantes while Dijon come into it off a 3-1 defeat to Angers. Metz are in brilliant form at the moment and I would be backing them even if they were odds on favourites. At 26/10, Metz are my top bet for the week. Toulouse’s 2-1 defeat to Bastia last week was their first taste of defeat this season. Their opponents, on the other hand, managed to maintain their unbeaten start to the campaign as they drew 1-1 with Montpellier. The last six clashes between these two sides have seen three Guingamp victories and three draws. I simply cannot ignore Guingamp on the double chance with stats like that staring me in the face. Get on the Guingamp + Draw Double Chance at 7/10. Saturday’s final fixture pits fourth-placed Bordeaux against 17th placed Angers. The hosts for this one come into the game off the back of their third victory of the season. While their 3-1 win over Lyon was rather unexpected, they must take a lot of credit for the manner in which they out-smarted their opposition. Angers also managed a big win last weekend seeing off new boys Dijon by the exact same scoreline as Bordeaux. The 3-1 victory saw Angers move up to 16th place on the Ligue 1 standings. My money is firmly on Bordeaux here despite Angers'recent resurgence. Get on the Bordeaux straight win at 8/10. We kick Sunday’s action off with a tie between Mario Balotelli's Nice and 14th placed Montpellier. Nice come into this one off the back of a high-scoring victory over Marseille, while Montpellier managed a 1-1 draw with Guingamp this past gameweek. New signing Balotelli made an ideal start to life in France netting two goals last week. The former Liverpool man struck from the penalty spot in the first half and then doubled his tally with a towering header during the second stanza. I quite fancy Balotelli to fire his side to victory again this week and it’s definitely worth backing at 47/20. St. Etienne will be looking to build on the momentum they garnered from their 1-1 draw with PSG last week when they host ninth-placed Bastia. While the hosts managed a draw last week, Bastia went one better beating Toulouse 2-1. That was their second win of the season, with their first victory coming away at Lorient during gameweek 2. St. Etienne have dominated this fixture in recent times, winning four out of the last five contests. I reckon they’ll add to that this weekend. Get on the St Etienne straight win at 7/10. So we close out gameweek 5 with one of France’s most prestigious derbies; the Choc des Olympiques. Both Lyon and Marseille come into this one off the back of disappointing defeats, with Lyon going down at home to Bordeaux and Marseille being pipped 3-2 by Nice. The last three games have ended as stalemates, with two of the three games seeing each team register a goal. Both Teams To Score looks to be the way to go here.